The Apalachee Indians and Mission San Luis is without question one of the most beautiful history books ever produced about a Native American tribe in the Southeastern United States. 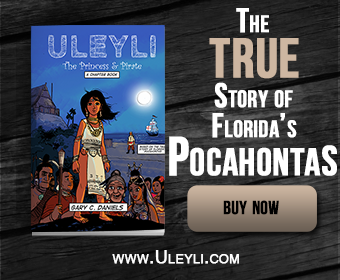 This book is devoted to telling the story of the Apalachee Indians, a tribe in northwest Florida, and their interactions with Spanish conquistadors and colonists. It is richly illustrated and has over 120 full color images in its 180 pages. If you do the calculations this means there is full color art on nearly every page which is almost unheard of in history books from an academic press. Yet this is no mere picture book. The volume is loaded with detailed historical information yet is presented in a way that your average person can easily comprehend. The book begins with the first tales told to Europeans about the Apalachee, a supposedly rich province loaded with gold and silver and defended by fierce warriors. Unfortunately, the authors stick with the standard academic position that these tales were fanciful and dismiss them out of hand. They also stick with the general academic consensus that there were no Apalachee Indians outside of northwest Florida and that the Appalachian Mountains were misnamed by early mapmakers. Yet there is strong evidence for the Apalachees having a province in north Georgia where gold and silver is, in fact, in abundance and that Florida’s Apalachee were an outpost of Georgia’s Apalachee. Although the author’s do admit there was at least a trade connection between Indians in Georgia and the Apalachee they fail to fully connect the dots and realize that Florida’s Apalachee were more than just trading partners and were,in fact, one-in-the-same as the Georgia’s mountain Apalachee. Yet this is a minor flaw of the book. Most of the book is focused on the contact period and the interactions between the Apalachee and the Spanish. The book does an amazing job of covering the full range and scope of interactions between the Apalachee and Spanish from first contact until final abandonment of their Florida province. These interactions overturn the stereotypical ideas often associated with first contact between American Indian societies and Europeans. For instance, it was the Apalachee who seemed to most desire a relationship with the Spanish and not the other way around. In fact, the Spanish denied the Apalachees’ requests for friars and religious instruction for decades. Eventually the Spanish did start a mission system among the Apalachee but the Spanish were never fully in control of this tribe. When the friars went too far in attempting to ban age-old practices like multiple spouses and a violent ballgame, the Apalachee simply refused to cooperate. When the Apalachee got tired of Spanish demands they revolted and drove the Spanish out. 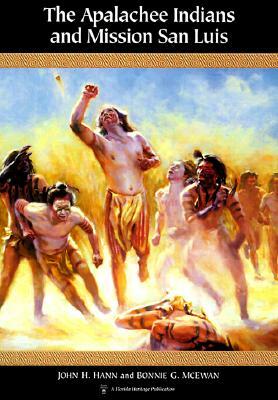 Thus one comes away with a completely different picture of first contact between Native Americans and Europeans. The Apalachee appeared to be in control of their destiny and chose what level of interactions they wanted to have with the Spanish. This all appeared to change when new Europeans showed up on the scene namely the British colonies in Virginia and South Carolina. The English wanted to drive the Spanish out and used existing rivalries between Indian tribes as a way to accomplish this task. Ultimately, Indian tribes supported by the British ultimately forced the Apalachee to abandon their province and move both east to Spanish St. Augustine and west to French Mobile, Alabama. Yet, it would only be the Apalachee who went west who would ultimately survive to the present day. Overall, The Apalachee Indians and Mission San Luis tells a very complicated story in a way which makes it very understandable. The reader comes away with a version of history that feels more “real” than the typical “white man bad, red man victim” narrative most such histories are dumbed-down to. This book reveals that all the actors, Apalache, Spanish, British and other tribes were each making decisions they felt were in the own best interests and the ultimate consequences of these decisions. History is messy and this book does not attempt to pretty it up for the reader with simplistic moral narratives. This book should serve as a model for how all future history books aimed at a popular audience should be produced. Although this book appears very expensive to print, with the advent of full color ebook readers like the Kindle Fire there is no reason all history books can’t look like this in the future. Unfortunately, there is no ebook version of The Apalachee Indians which would add the additional ability to search the volume’s text– a great help for those who use it for research purposes. The book does have a relatively good index thus until an ebook is available researchers will simply have to use the book’s index to find any useful information. Overall The Apalachee Indians and Mission San Luis makes for an enjoyable read about a forgotten chapter of American, yes American, history. Once completed those who want to see the real Mission San Luis can do so with a visit to the recreated Mission San Luis in Tallahasse, Florida and see first hand where the events in the book took place.